Q: Why / when / how did you start to work with performance, what is your background, how did you arrive at doing performance? 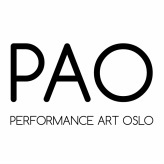 I did not know the word “performance art” before it already started happening to me when I got involved in a self organised students gallery at the art academy in Belarus in mid nineties. It became a more permanent focus, after launching the annual international performance festival Navinki together with Victor Petrov in Minsk (1999-2008). The strongest influence was meeting hundreds of wonderful people from different countries, extremely warm and supportive, eager to understand each other regardless of experience, age, artistic language. It felt like being home, real. For a newly graduated art student it was like a dialog with a friend versus negotiation with the rest of the art world. A speech act a declaration of individual and artistic freedom versus attempts to fit it into a particular form, genre, media or method. Yet, ironically, I became a “performance artist”! Q: What is your process like when you make a performance, from idea to actual work? Skills and perfection are not so interesting for me in such processes, rather a room for discovery. The aim is usually to arrange a kind of non-narrative enhancement of a living experience. Why non-narrative? What is an event in our experience, when do we say that something is happening, an event becomes a memory: this happened and finally when someone tells you about what actually did happen? Narration flattens an event to a dimension on a page or on a guitar string where each one has their own story to tell, a beginning and an end. It is very challenging to make an event “alive” in individual memories and I am glad that there are no cooking recipes to achieve that. Q: Can you tell about your latest project? ”I Augment” – a participatory performance by Denis Romanovski and Peter Eccher at Gallery Konstepidemin in August 2016 where the artists along with the audience investigated the transformation of economical exchange and ownership related to an artwork. This is a continual process which started a year ago at a performance by Denis Romanovski in which the results of a collective effort were auctioned. The price reached its peak at 246 SEK along with a cheek kiss by Peter Eccher. Denis Romanovski invested the amount in a lunch meeting with the buyer. The lunch turned into a collaborative spin off. The remaining 129 SEK were spent to purchase an artwork by Peter Eccher for the exact sum, which was then sold for 1300SEK during the auction performance. The buyer of that piece is now joining the team to augment the value for the next stage of the investigation which will go on until they find a way to distribute the artistic effort for everybody’s benefit. Q: How do you experience or consider the audience / surrounding? What space / surrounding do you find interesting to work in? How does your surrounding influence your work? Do you involve the public? If so, how? To put it short: what is happening with the audience is much more important than what I do.